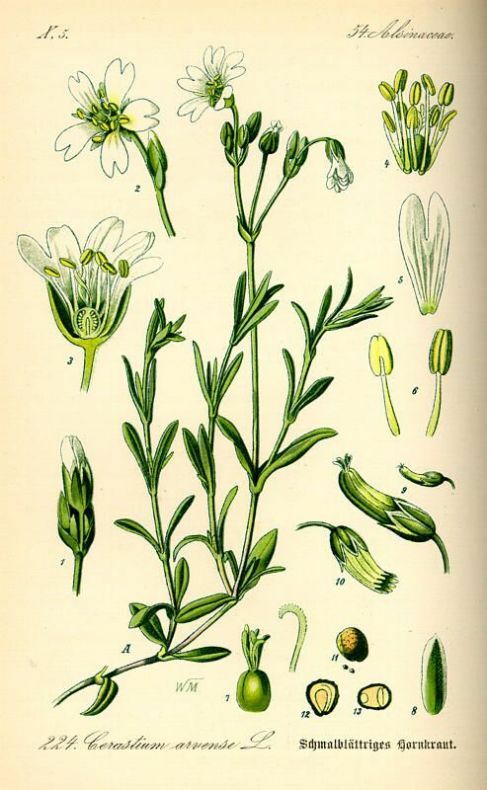 Cerastium arvense print of plant. liurig.altervista.org (Accessed 12/20140). 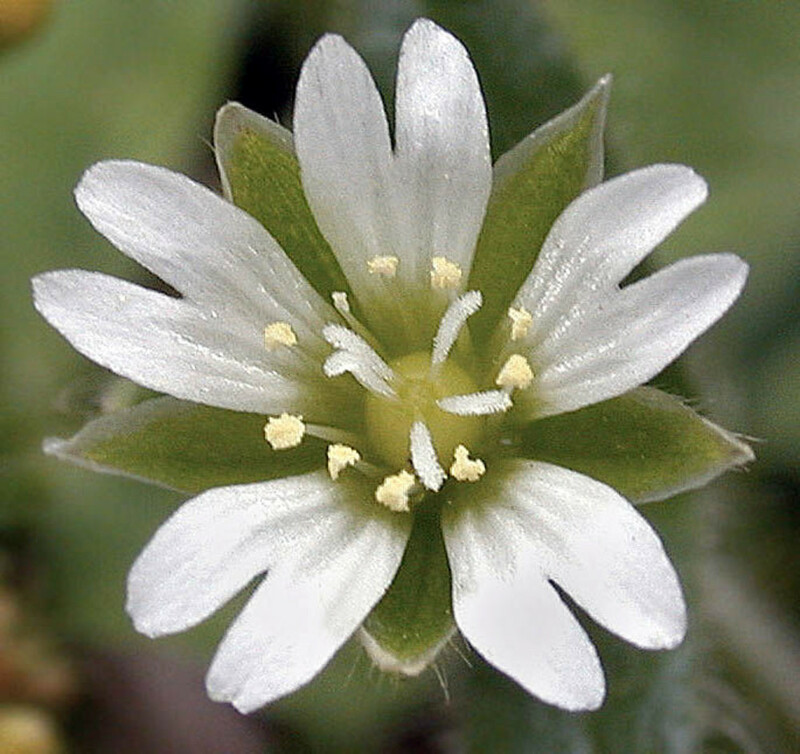 Cerastium is a genus of low, small herbs. Cerastium nutans flower close-up. Copyright © 2017. Robert L. Carr, Flora of Eastern Washington. Oregon Flora Image Project – www.botany.hawaiie du/faculty/carr/ofp/ofp_index (Accessed 12/2017). Flowers white, petals 5, free, widest near tip, narrowed at base, tip often notched, sepals 5 (in ours), stamens 10, styles 5, ovary superior. 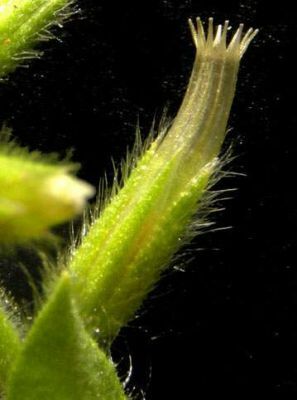 Fruit dry, a capsule, mostly longer than sepals, cylindrical, thin-walled, splitting open at tip leaving 10 small teeth at opening; seeds numerous, warty-textured. Notes: Much like Stellaria but darker green and generally hairier.